In this dish, you will have a bit of Malta, a bit of Italy and a bit of Sweden ! 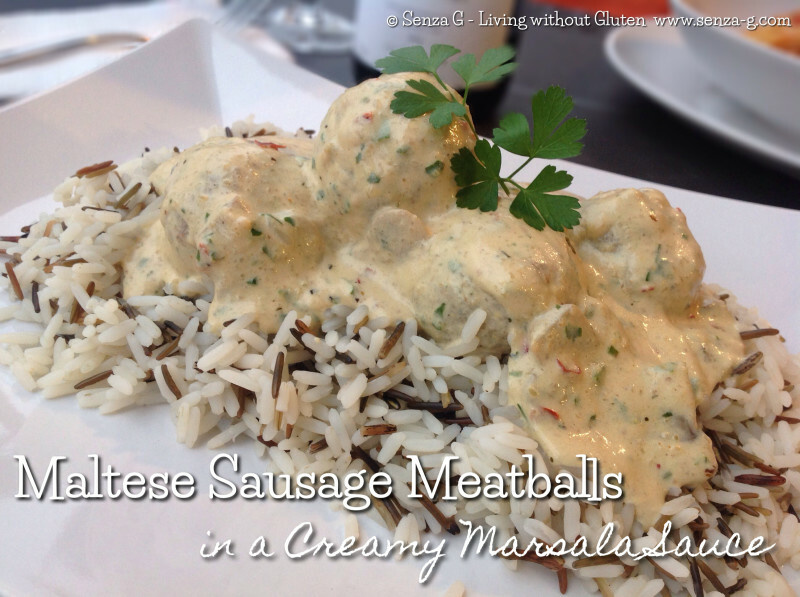 Meatballs made with Maltese Sausage, served in a creamy sauce just like the Swedes do it, but with a little Marsala, borrowed from the Italians! If you do not find Maltese Sausage, you can also use Italian Sausage. Whichever you use, the end result is truly delicious! Remove sausage casing and combine the remaining ingredients in a bowl. Shape into meatballs. Do not add salt. Roll in the polenta. Place them in a lined baking sheet. Spray lightly with oil. Bake for approximately 20 min or until meatballs are done. In the meantime, cook mushrooms and garlic in a pan on medium heat stirring frequently. Add cooking creme, herbs, Chilli, if using, wine and milk and the mustard. Cook and stir 2 to 3 minutes or until heated through. Stir in the chopped parsley. Add the meatballs to the pan, stir to evenly coat with sauce. Leave on low flame till they are warmed through. Serve over a white and wild rice mix or just plain white rice.